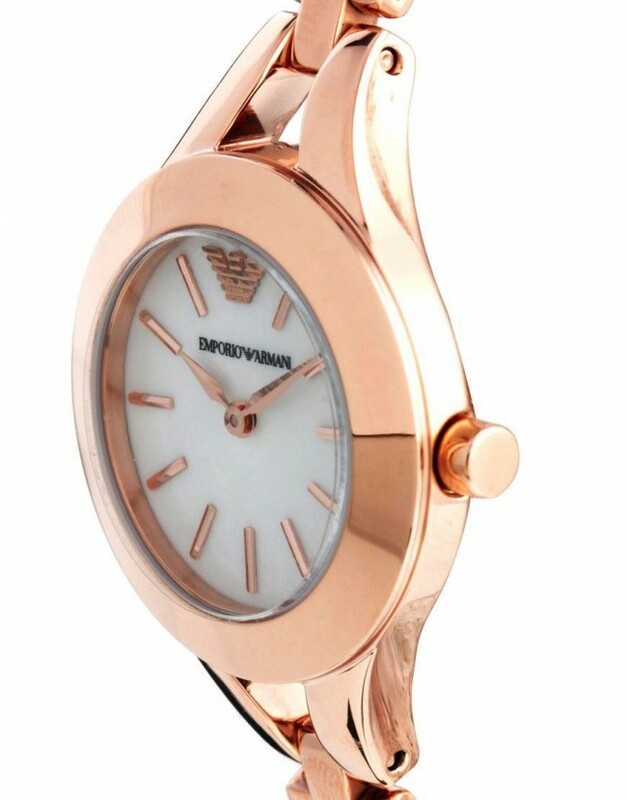 This ladies' wrist watch is from Emporio Armani is made from PVD rose plated steel and has an elegant round case with a mother of pearl dial. The dial is set with rose baton hour markers and slender rose hands. 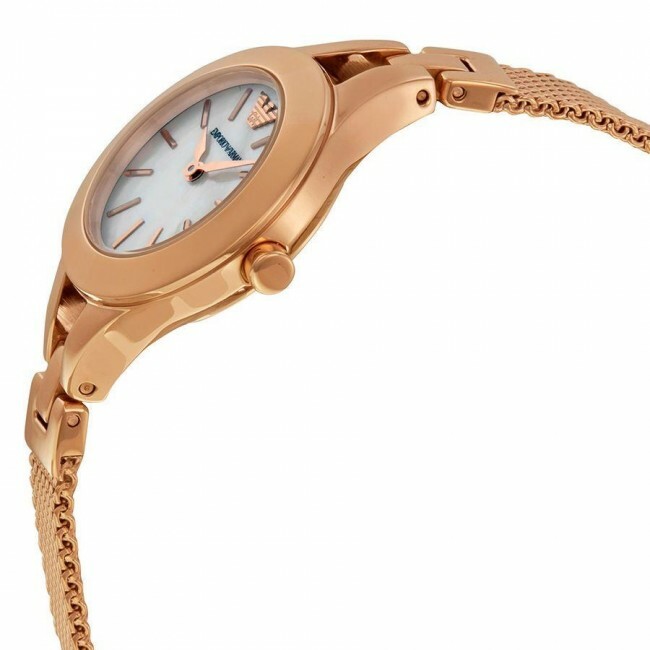 It fastens with a rose metal bracelet and is powered by a quality quartz movement. 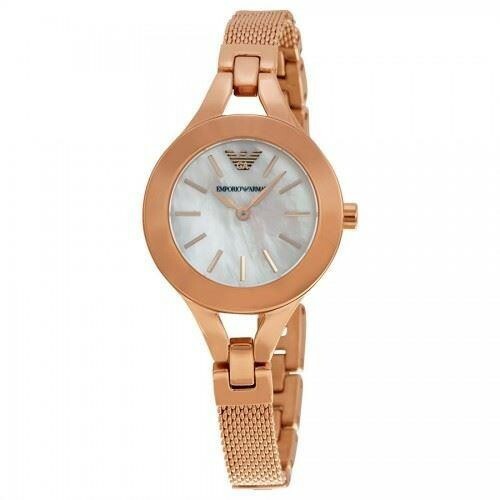 This ladies' wrist watch is from Emporio Armani is made from PVD rose plated steel and has an elegant round case with a mother of pearl dial. The dial is set with rose baton hour markers and slender rose hands. 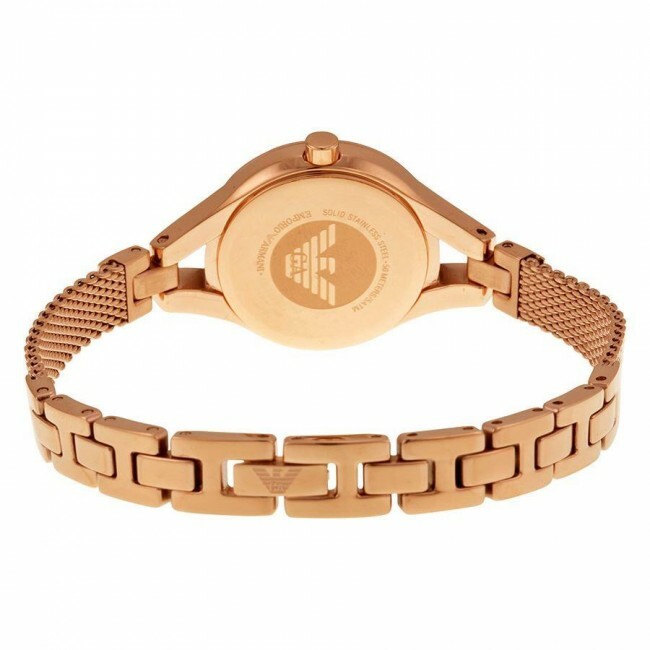 It fastens with a rose metal bracelet and is powered by a quality quartz movement. It is also, 50m water resistant.